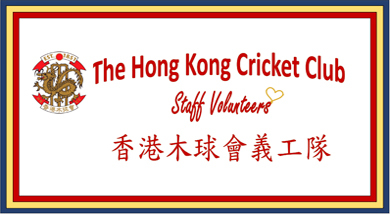 The Hong Kong Cricket Club Staff Volunteer Team was established in 2013. 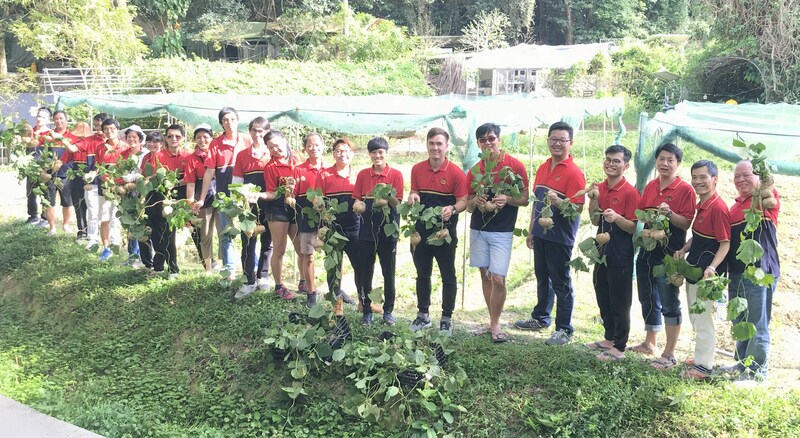 Over the past 6 years, the Club has supported “Produce Green Foundation”, a non-profit charitable organization established in 1988 by a group of local enthusiasts concerned about modern farming and the environment. 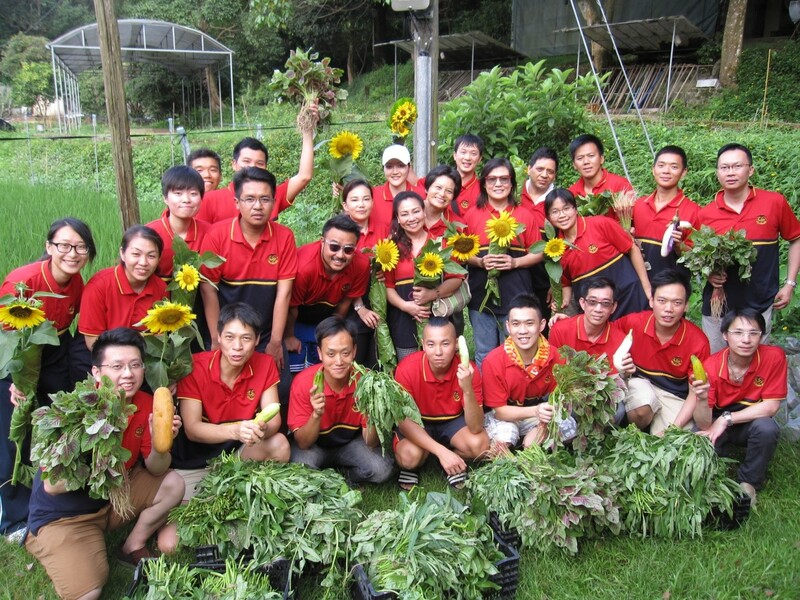 They set up the first organic farm and the first large scale elderly community garden in Hong Kong. 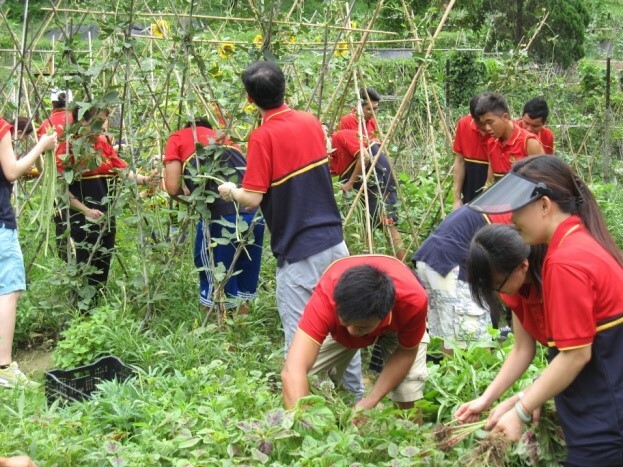 Green lifestyles are introduced to the public through the concept of organic farming, with the hope of promoting for a safer and healthier food and environment. 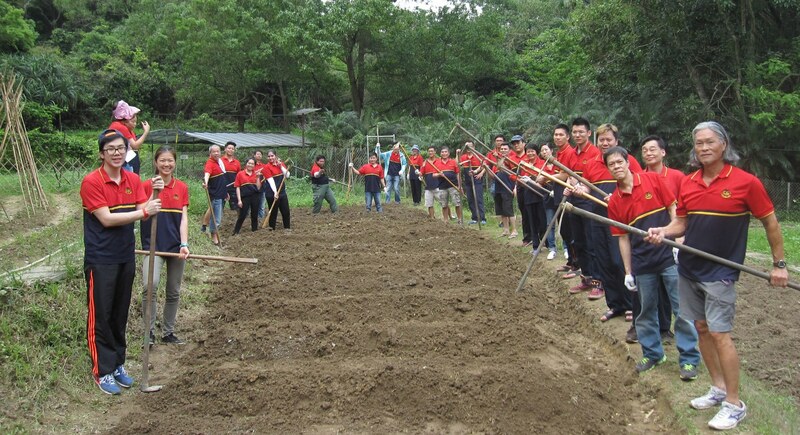 HKCC rents a piece of a field at the Foundation's Hok Tau site which enables our staff to take part in organic farming. 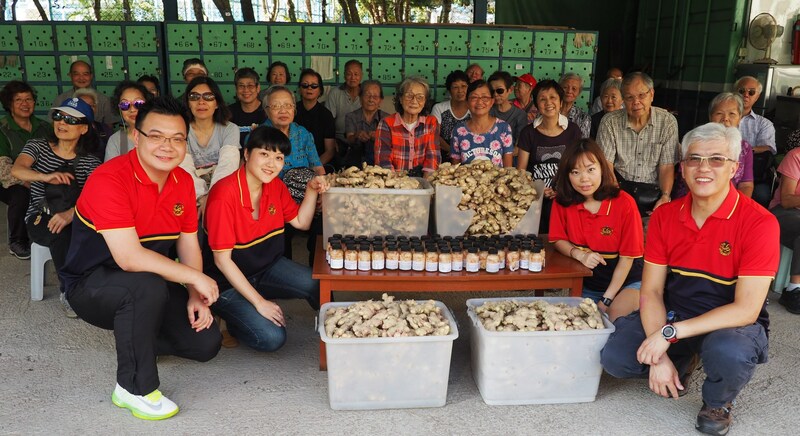 The crops collected were donated to various charity organizations within Hong Kong. 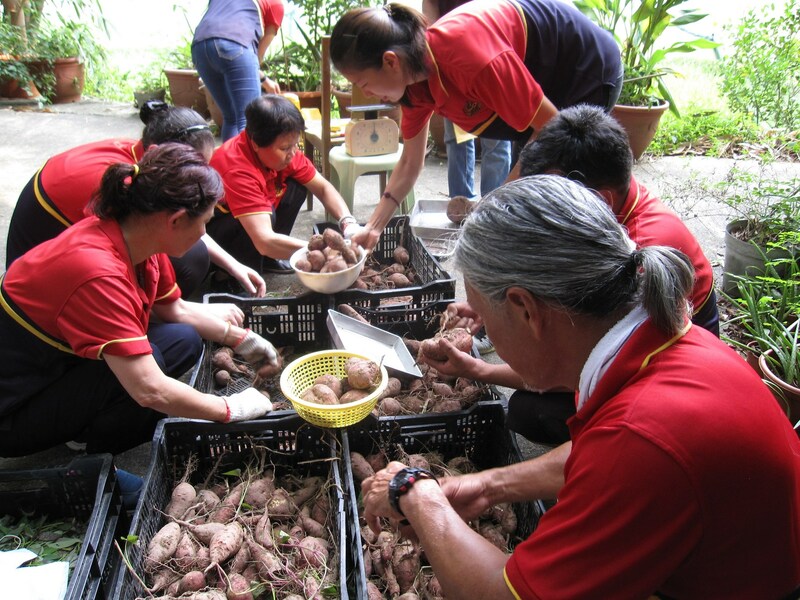 Our staff’s commitment through volunteering is one of our key pillars to contribute to society. 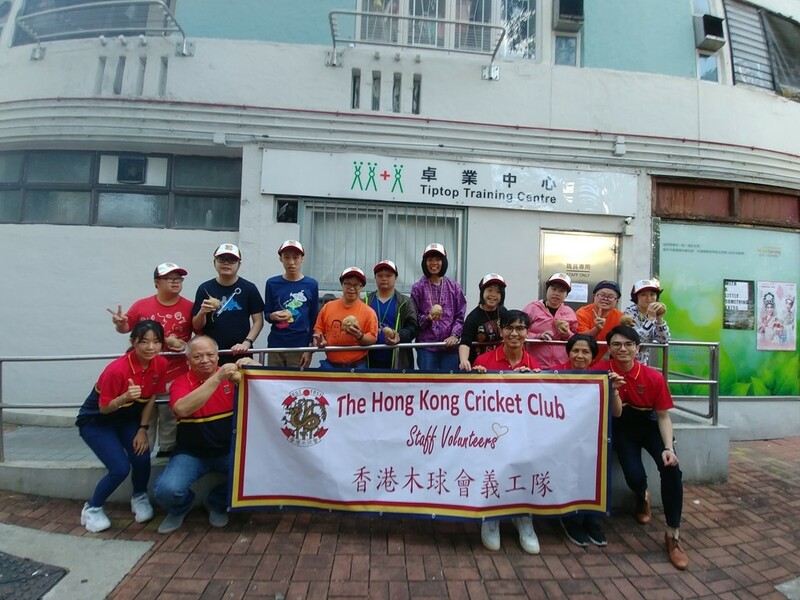 These programmes encourage our staff to volunteer within the community and enable them to establish a sense of social responsibility; the work they do not only contributes to the overall success of the Club, but it also helps support local charities. This sense of purpose can lead to increased productivity and higher workplace morale and team spirit. 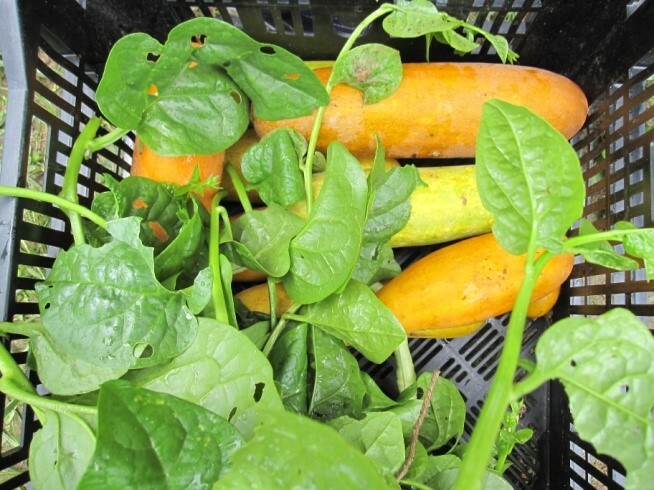 We returned for the harvesting in November after the planting in June. 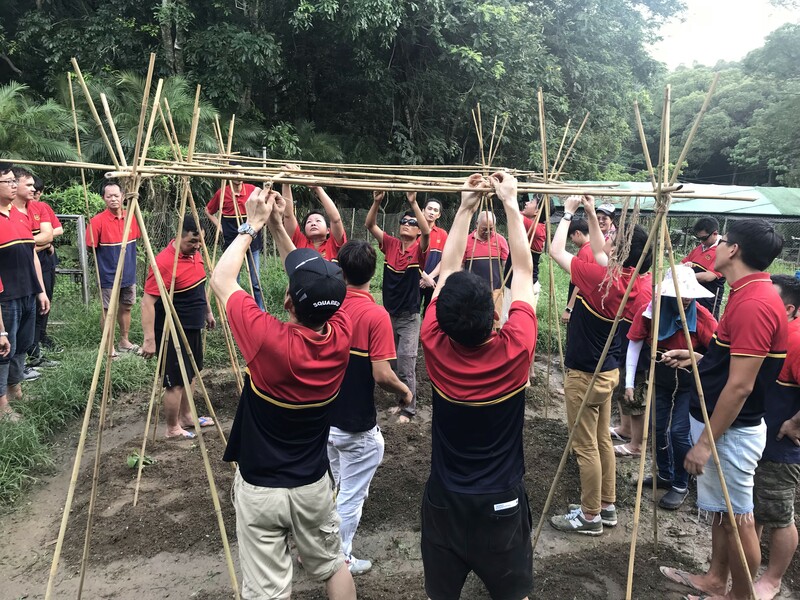 Although Typhoon Mangkhut swept through Hong Kong in September, we were lucky to have over 60kg Yam Beans collected but the Wing Beans bamboo scaffolding was ripped off. 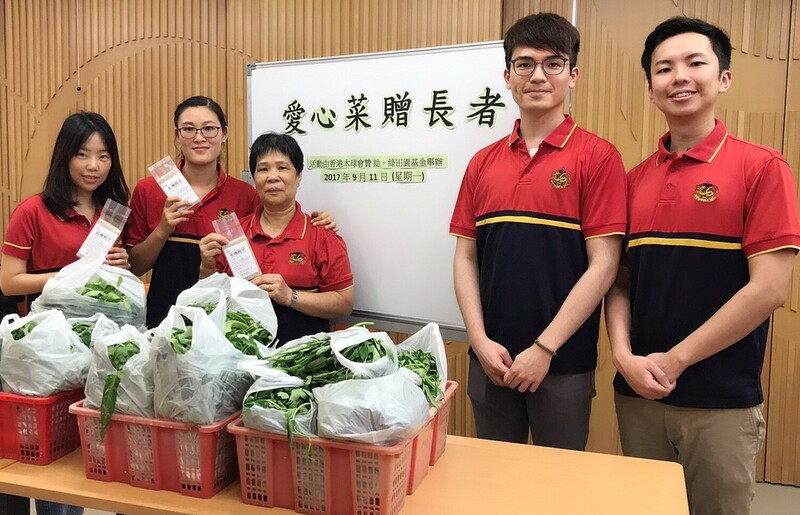 Following our staff volunteering programme, it was decided that we would visit "The Hong Kong Downs Sydrome Association" and donate our crops to their students. 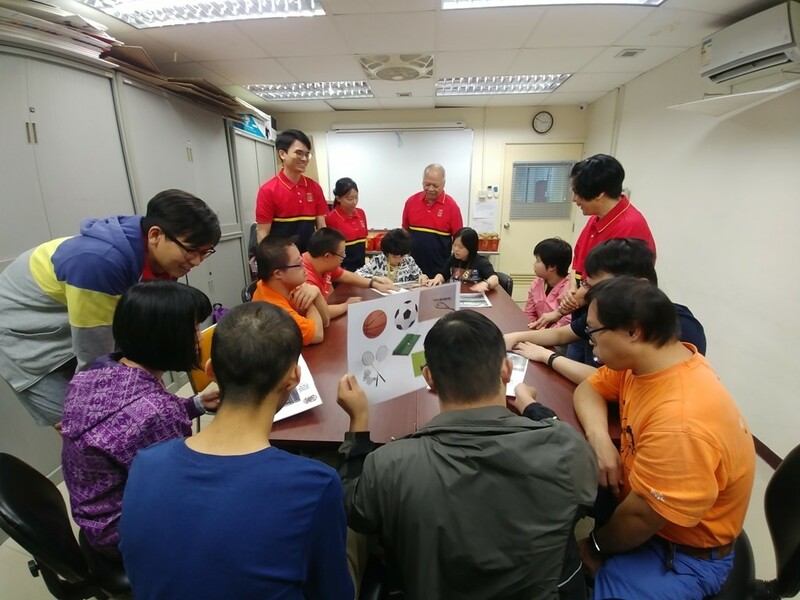 We spent some time to introducing the Club and explaining our various sports activities. 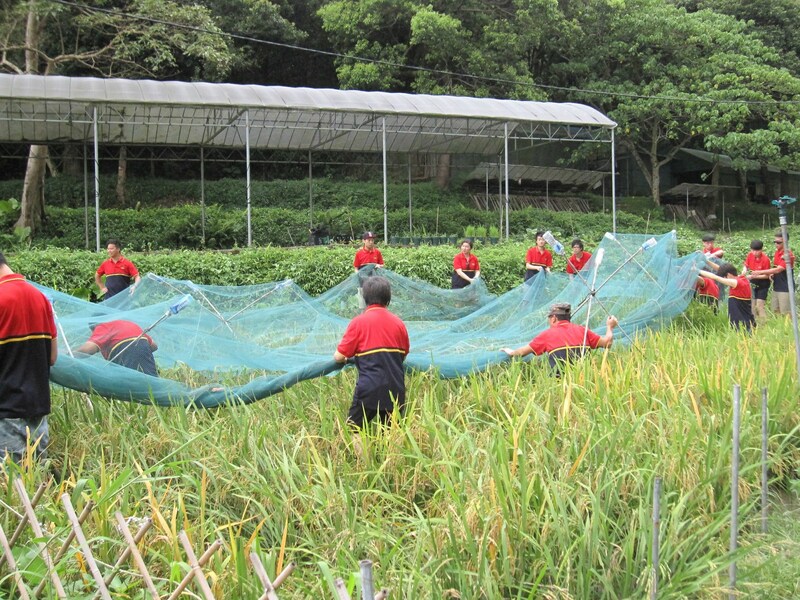 In April and August, we went to our paddy field for seeding and harvesting respectively. 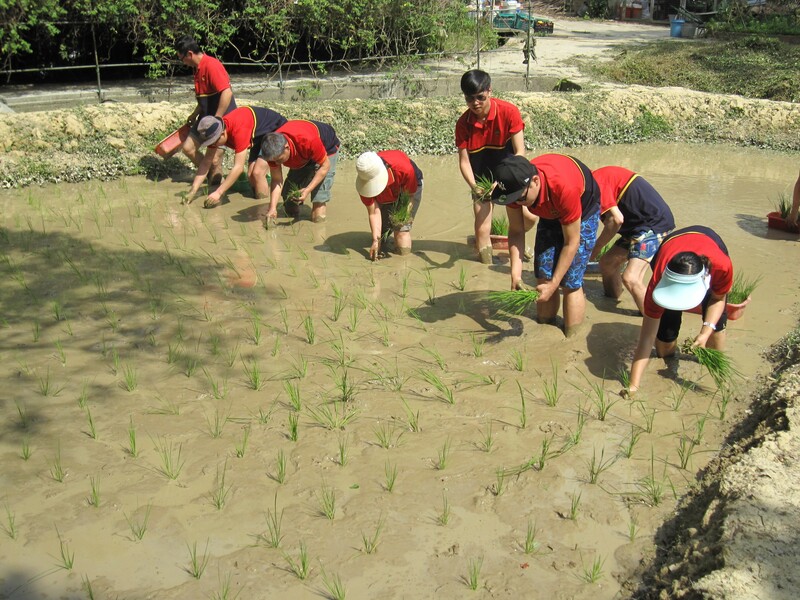 Unfortunately, the rice crop was really poor this year due to the heavy rain in June and several visiting typhoons. 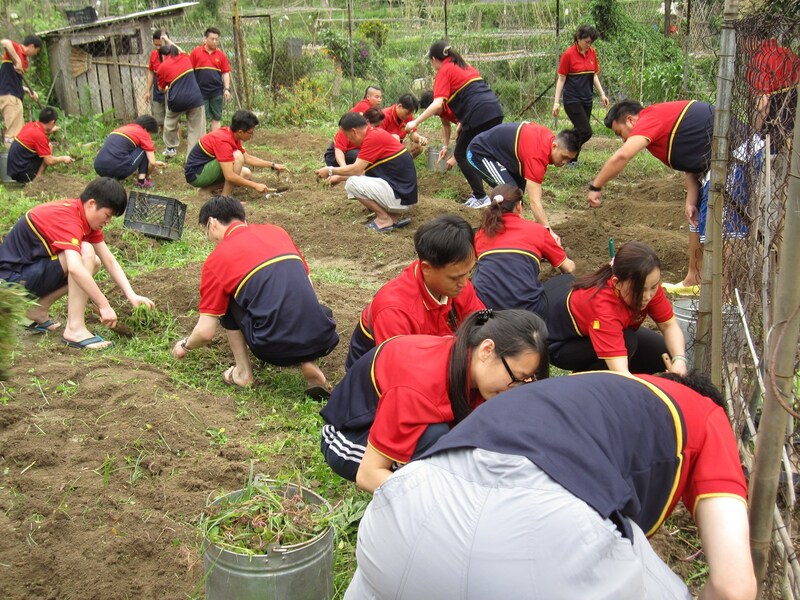 However, the staff team were able to select one charity organization (Wo Che Rhenish Social Centre for The Elderly) that would benefit from the proceeds of their harvest – organic vegetables instead of rice. 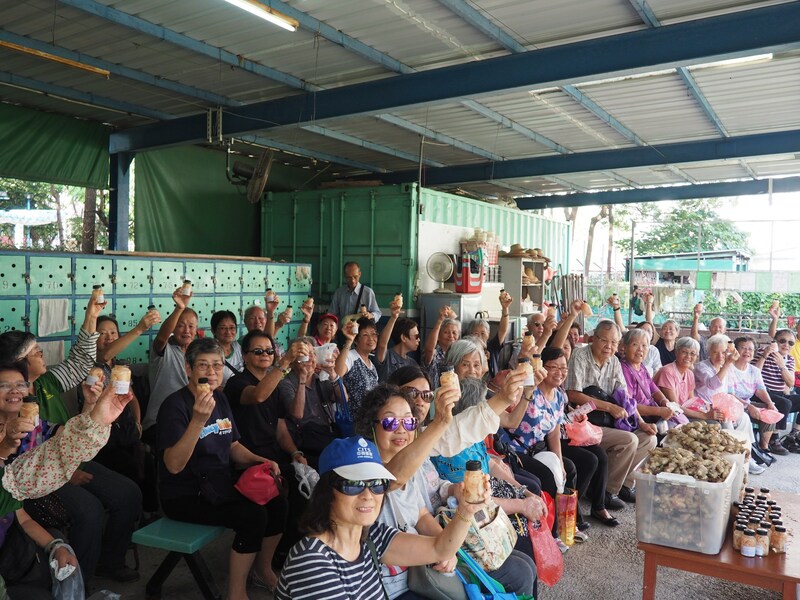 A total of 27 HKCC staff returned to the site in Fanling in April where we had planted the sweet potatoes – in a boiling hot and humid environment! We worked hard in the field to gather in the crop. 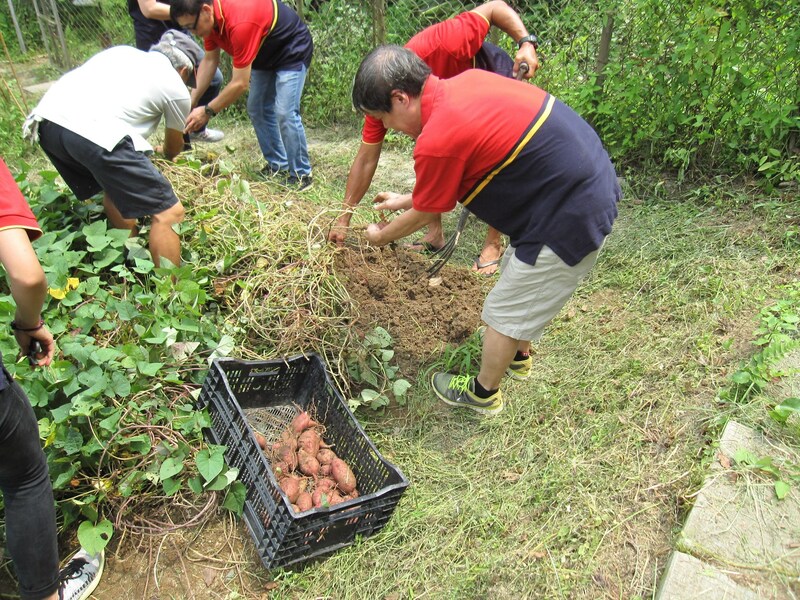 After that, we were given some sweet potatoes to make a dessert – sweet potato cakes – and played some games. 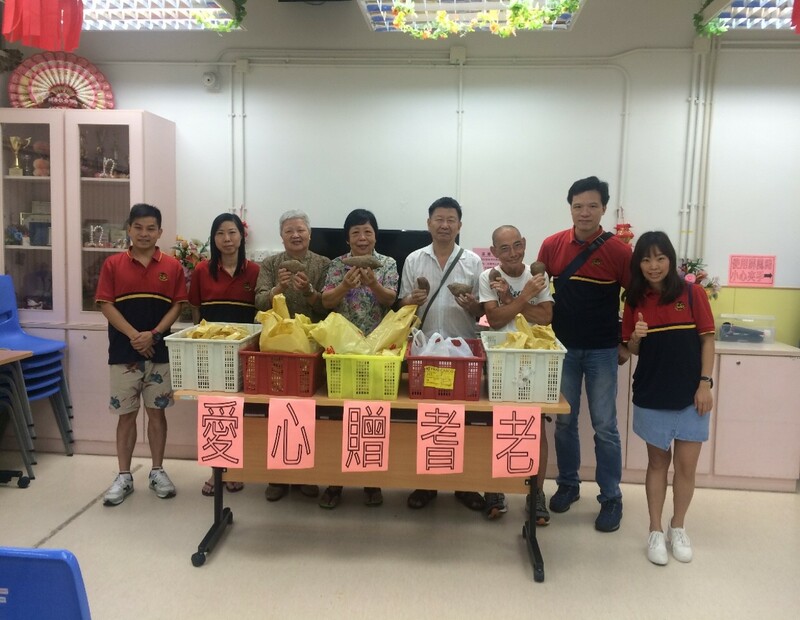 We collected a total of 64kg+ sweet potatoes which we decided to donate to Ho Chak Neighbourhood Centre for Senior Citizens (Sponsored by Sik Sik Yuen, a neighbourhood centre aimed at providing various services and activities for the senior citizens in the community - 嗇色園主辦可澤耆英鄰舍中心). In September, the team captains and staff representatives made a visit to their venue. 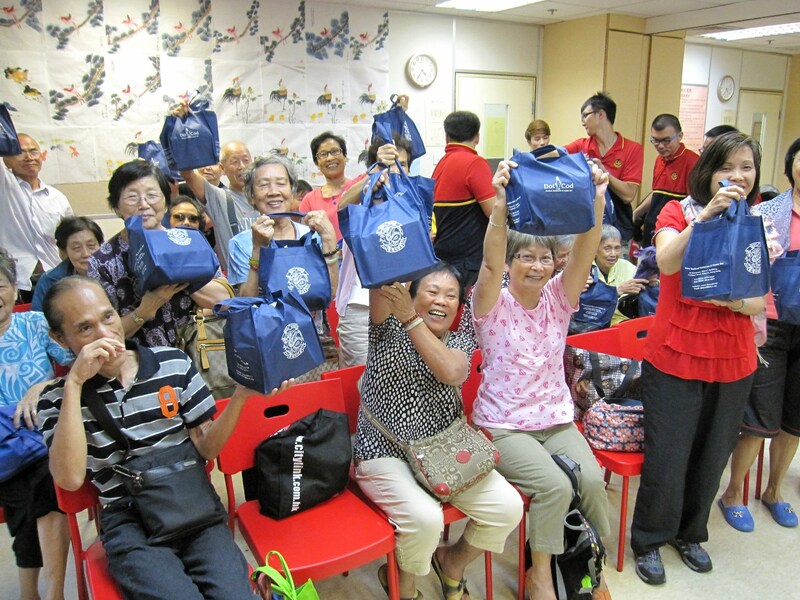 We were greeted by over 40 elderly members from the Community Garden. 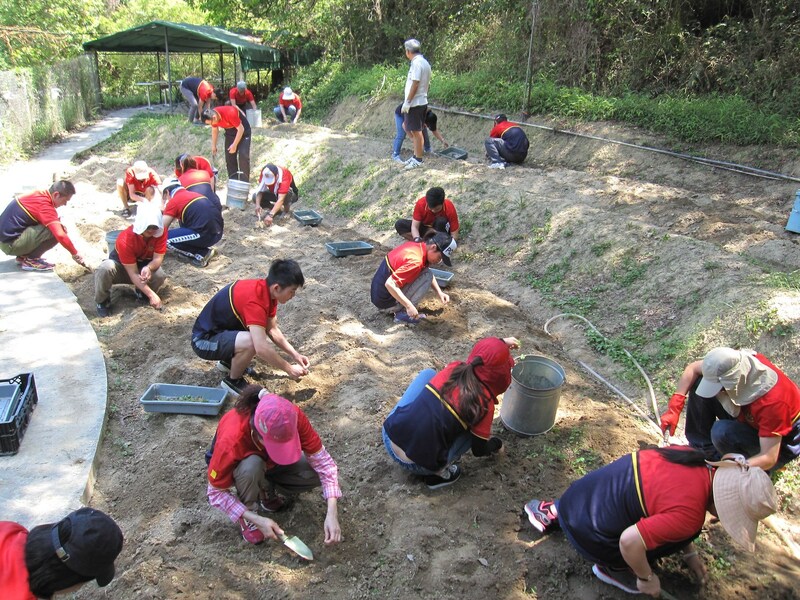 We spent time to introduce the Club and the mission of our team building activity as well as giving some information on how we learned to plant and pickle the young ginger. 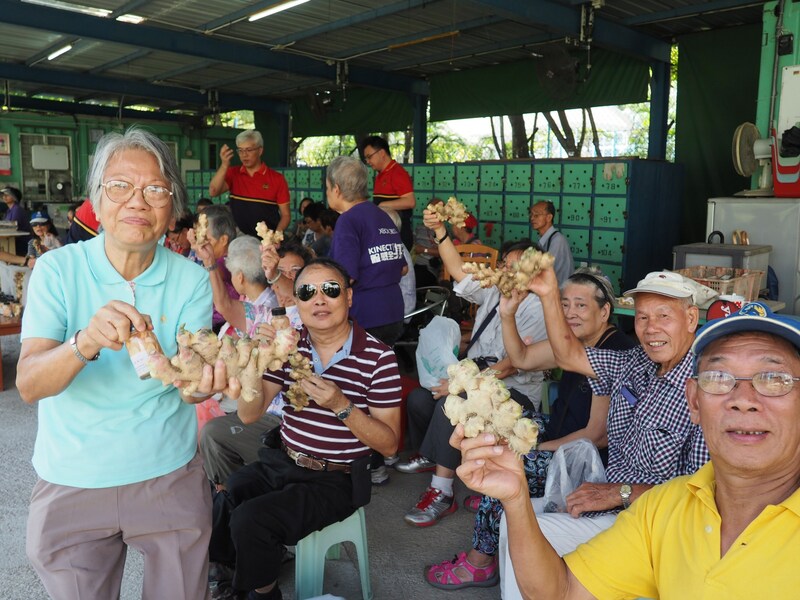 Each of the members received a bottle of pickled ginger plus a full bag of fresh ginger that we had harvested. Also, very important to Chinese culture, we noted that “tasted sour” is the same pronunciation as “good grandson” in Cantonese (好酸 ! 好孫! ). It was a happy event, to see the smiles on everybody’s faces. 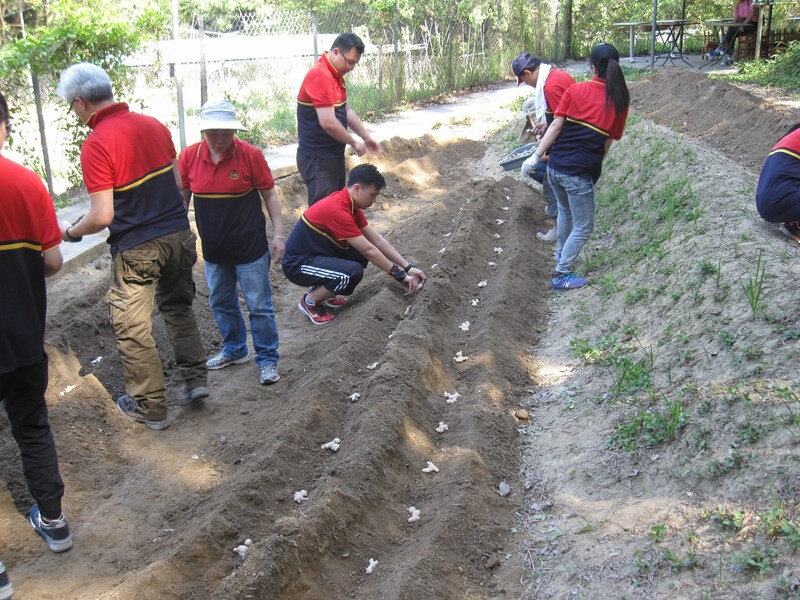 During the summer, a Club staff team took part in a New Territories vegetable planting exercise. 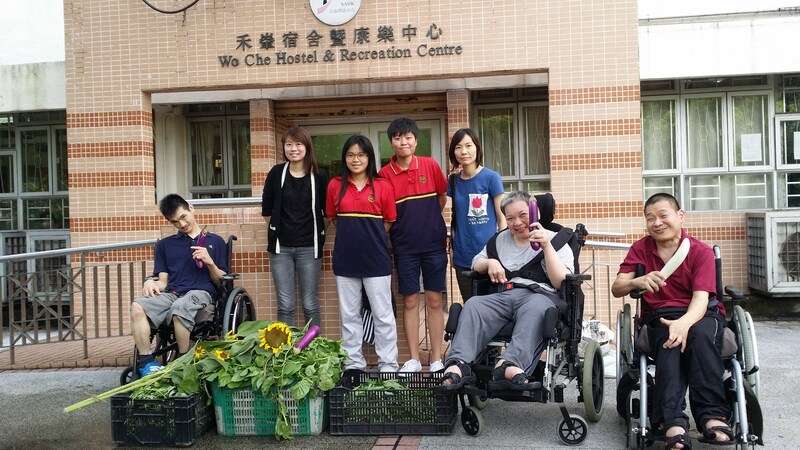 We chose “The Spastics Association of Hong Kong – Wo Che Hostel & Recreation Centre 香港耀能協會禾輋宿舍暨康樂中心” to donate our organic vegetables to. 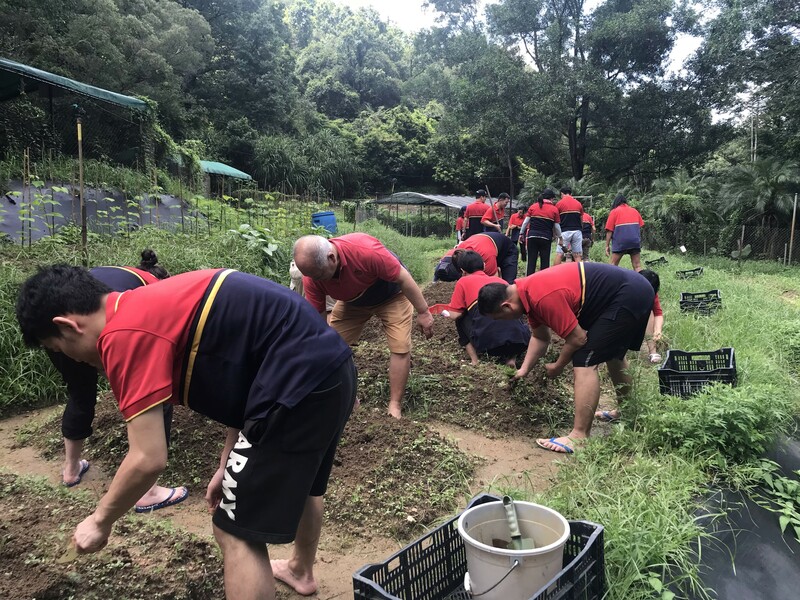 During the summer, a Club staff team took part in a New Territories Rice Growing exercise held by the Produce Green Foundation. The staff team has also asked the Foundation to recommend some charity organizations who would benefit from the proceeds of our harvest. 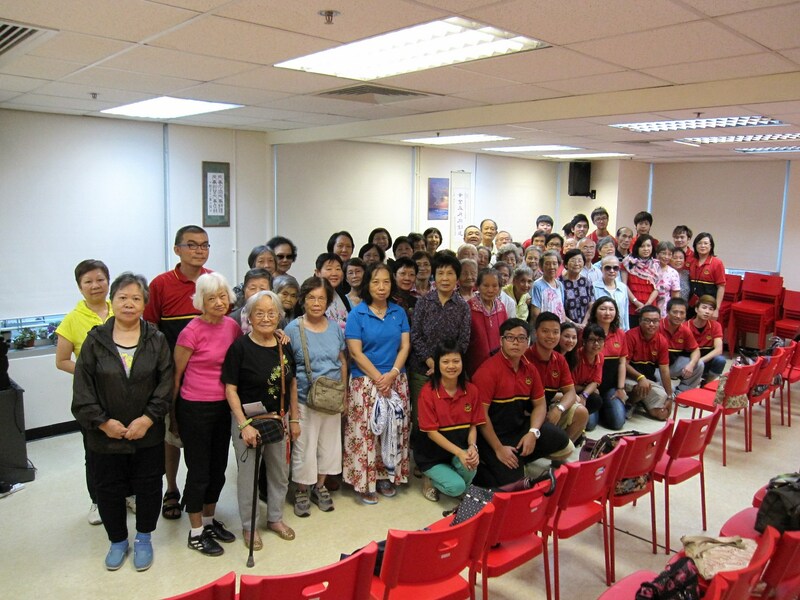 The Hong Kong & Macau Lutheran Church Kei Fuk Elderly Centre was our first choice. 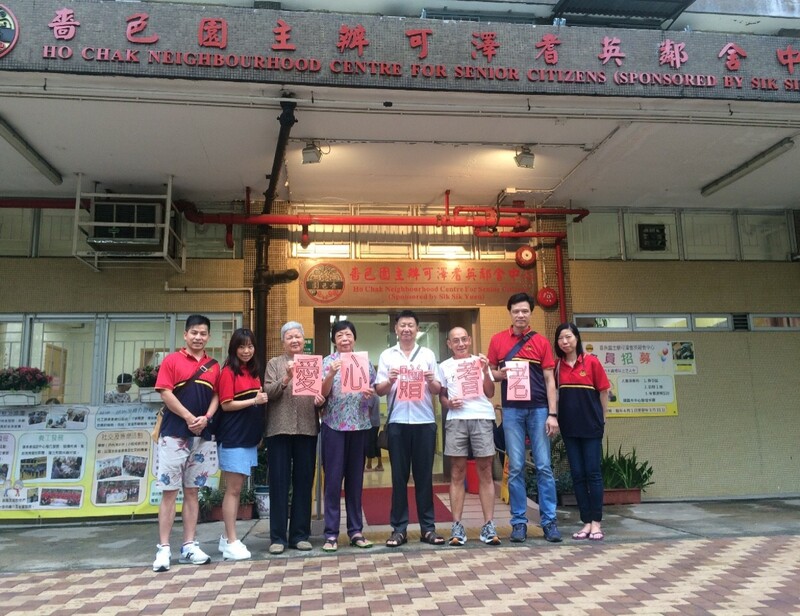 This Centre was the first activity group opened in a commercial complex by the Government. 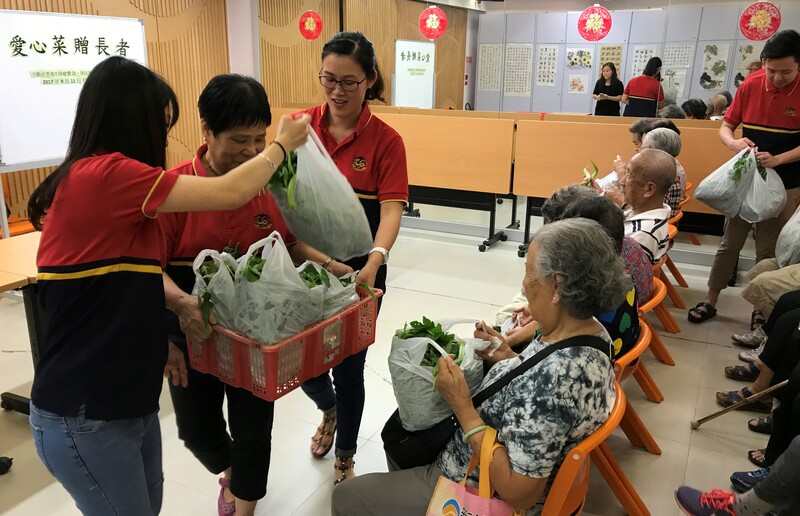 The Centre aims at providing various activities, interest groups, training classes and personal services for the elderly so as to help them create a rich, active and happy life.